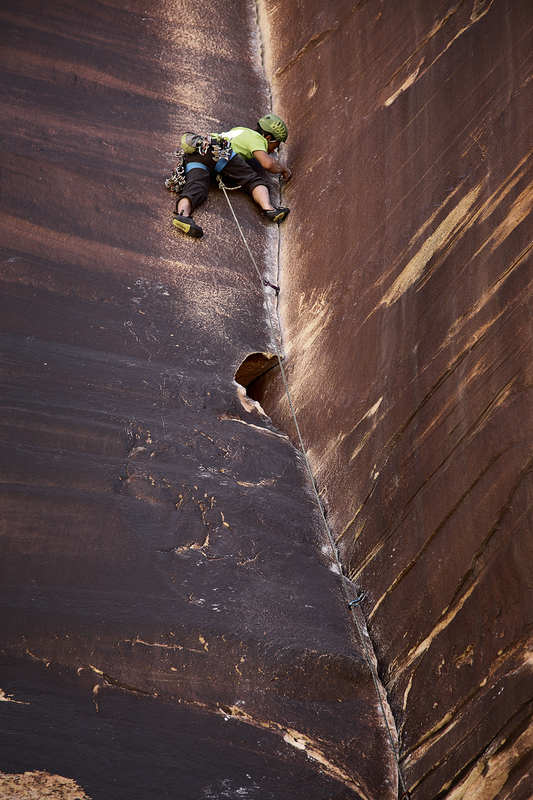 Just got back from a week long trip in Utah to experience crack climbing. Although I am new to crack climbing, some of these guys made it look breezy. Here is the first image I've had a chance to play with. And per request of the climber, Kenny Duong, I've included the before and after of the image. Thanks for all your help Kenny! !